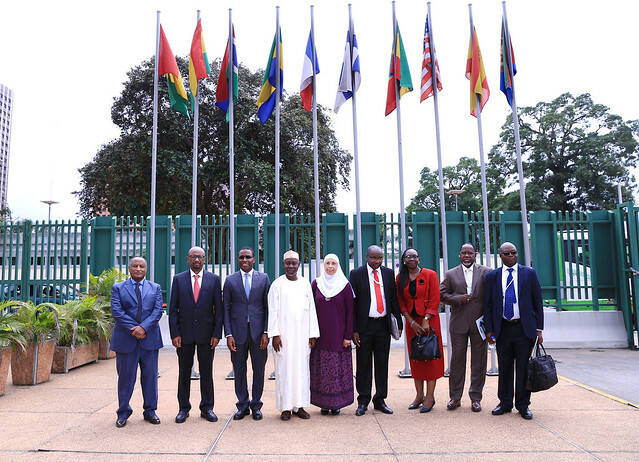 The inaugural Africa Energy Market Place (AEMP), convened in Abidjan, Côte d'Ivoire, on 5-6 July 2018. The AEMP is a collaborative platform of key government representatives, development partners, and private sector investors, set up to address barriers to mobilizing and scaling-up private investment into the energy sector. AEMP is part of the New Deal on Energy for Africa launched by the African Development Bank. The five countries identified to participate in the inaugural edition are Côte d'Ivoire, Egypt, Ethiopia, Nigeria, and Zambia. The AEMP Concept Note summarizes the key points of the initiative and describes its value to the energy sector in the target countries. It provides a brief description its call to action and its objectives. Following a year of consultations, the AEMP team has compiled questions received by Government Officials, Development Partners, Donor Institutions and the Private sector about the initiative. The FAQ document these common questions regarding the AEMP’s purpose, with the view to managing expectations while overcoming objections and misconceptions. A descriptive survey was circulated to all confirmed participants of the AEMP in order to capture the profiles of each individual and clearly understand their expectations. The Survey Analytics document reflects the views of AEMP round 1 attendees as well as the level of interest of the Roundtable Sessions on a per-country basis.